For many, foxhunting is not only a way of life, but, a family affair. Young and old alike join in the myriad of activities for members, gathering together in festive spirit. Once an invitation of membership is issued by the Masters to you or your family, there are different levels in the dues structure to choose from based on your interest and your situation: introductory to student, single member to family, riding to social and even out-of- town. Since hospitality runs high, Hillsboro Hounds has events for every season year round. From Pony Club/Youth Day in the spring and Puppy Show in late summer, to fall’s Landowners’ Picnic & Dove Shoot there is food and fun for all. 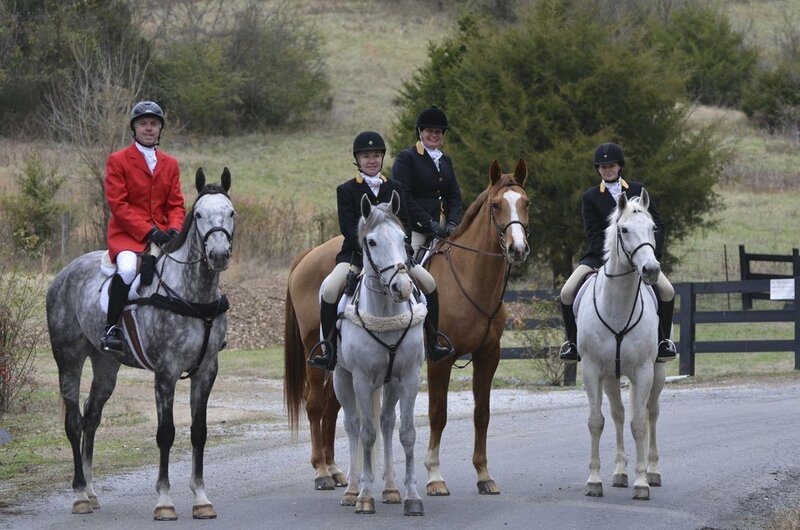 And for the true foxhunter, summer trail rides blend into the fall preseason just in time for horses to be ‘fit ‘n ready’ for formal season and the much-anticipated Opening Hunt, complete with its grand “Blessing of the Hounds”. A more beautiful sight is hard to find! Often thought of as the “original membership”, the sport of mounted foxhunting has its roots in being on a horse. And it is the mounted foxhunter who prizes not only his equine partner, but the venery he shares with his mounted comrades in the field. The Riding Membership carries more responsibility for the actual sport itself and gives in return an unmatched exhilaration to all who love its pursuits. Those who hunt as riding members have dress code details to follow, as well as, position in the field. Knowing how or when to acknowledge seniority by both experience and colors of the hunt coat is only part of it. To be a respected riding member is as satisfying an accolade as one can have. For it is the well-trained, well-prepared rider that helps bring joy at the end of the day in coming home together – “the field all up” – still in the saddle…the greatest wish of all hunts. Social membership is offered to those who, for whatever reason, are not planning to be in the saddle during hunt season. For them, the social opportunities are as varied as the year round activities already described, with many important ways to contribute. Social members are needed on committees that plan and decorate for events like the Landowners Picnic, Opening Hunt, and the Hunt Ball, as well as other year round chances to be part of the Hunt Teas that occur every Saturday during Formal Season. 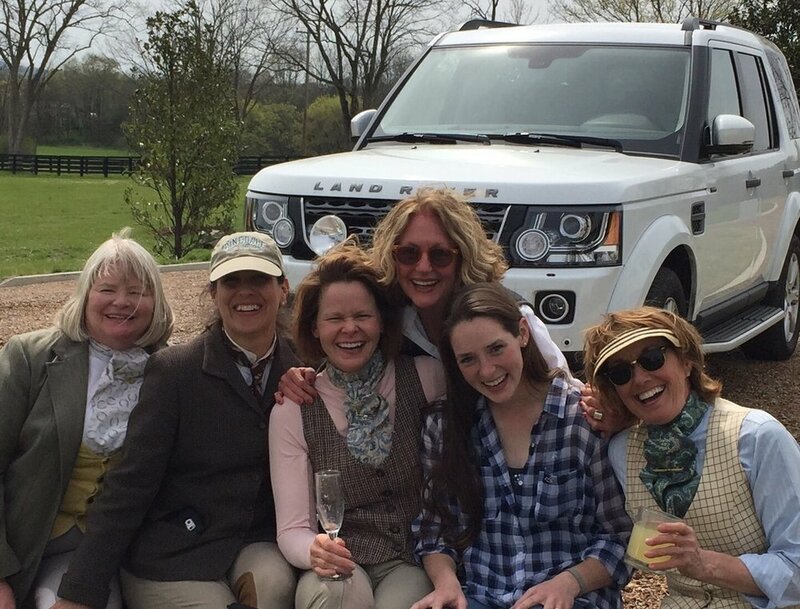 And then, there’s always the camaraderie of car hunting together…for it’s not only the ones in the saddle who are known to cry, “Tally Ho”! At Hillsboro Hounds, hospitality loves to extend its welcome to visitors and guests. Guest is the term used for a rider who is not a member but is invited to come hunt by a riding member in good standing. This non-member guest may come twice during a season and the member who invites them knows to ask the Master prior to the hunt. After that, they are welcome to return as a visitor, as all visitors who are invited by members are welcome. There are hunt teas to enjoy, car hunting to revel in, and even opportunities to attend the formal Hunt Ball at the end of the season. It is always the hope that great ‘guest and visitor experiences’ will result in membership, as indeed, they have for many over the years. New members, in many ways, are an energizing part of the lifeblood of Hillsboro Hounds. Those who love their hunt seem to relish sharing it with like-minded folks who love good sport, happy animals, and healthy land. For as simple as it sounds, it’s a privilege to be able to join together in that spirit. Whether single or married, with children or without, riding or social, the new member invited to join has the support of all who care about the fabric of the community, the good it has to offer, and the gifts they have to offer it. Welcome to the Hillsboro Hounds! If you have recently joined, you can subscribe to our email list here. You will be automatically sent a confirmation email. Before we can send you any further emails, you must complete the confirmation process in that email, and we must confirm your email address in the list - so please expect a short delay between signing up and receiving regular emails. See our Email FAQ for help troubleshooting. Thank you for your support of the Hillsboro Hounds over the years! We are looking forward to an excellent season as always. If you would like to join the email list and are not yet on it, click here. For help troubleshooting email issues, click here. COPYRIGHT © 2016 HILLSBORO HOUNDS. ALL RIGHTS RESERVED.